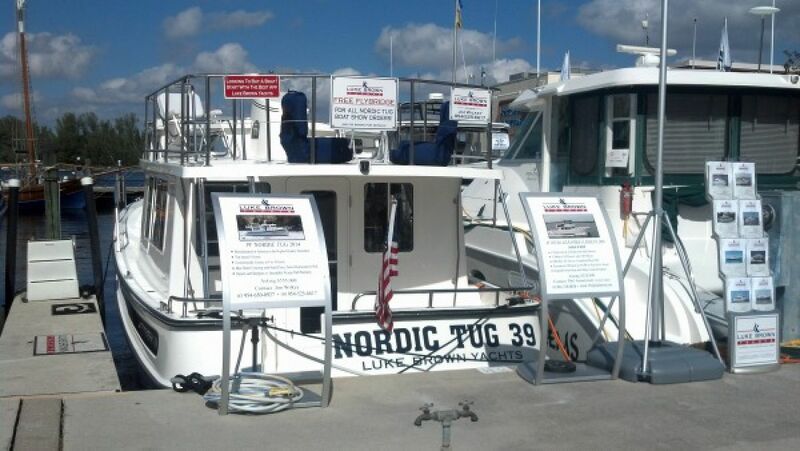 Jim Wilkey and Phil Annunziato enjoyed a great four days at the Fort Myers Boat Show from November 13th through 16th, 2014 talking to dozens of current and potential Nordic Tug owners. Jim indicated that the traffic was very strong especially on Thursday, opening day and through the weekend. "The weather was perfect!," said Phil Annunziato, Luke Brown's Florida West Coast Representative. Jim, who is our Nordic Tugs Product Manager, brought over our Nordic Tugs 39 model from Fort Lauderdale to Fort Myers via the Okeechobee Waterway accompanied by our Nordic Tugs service manager, Rick Kellogg. "Such a beautiful trip, with great weather, except for the first day when stormy conditions, high seas and fog off of Florida's East Coast were challenging to say the least." said Jim. "But, the new Nordic Tugs 39 was up to the challenge and performed very well. 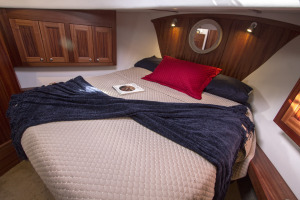 The trip took a couple of days of 16 knot cruising, which is our cruise speed when we're traveling on business." He also indicated that it was very interesting going through the lock system on the waterway. 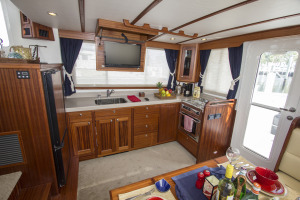 "It's another perfect cruising area for the Nordic Tugs," said Phil, who met Jim in Fort Myers and has a great knowledge of Florida West Coast cruising grounds. Both agreed that, "it was tough work, but someone had to do it!"